When I announced the winner earlier today, I promised a special treat for all of you who have been following and voting in the Girlfriend Bracket. Oh, by the way, here is the final filled in bracket. SO, without further ado, here is the special surprise: Participation certificates for all the contestants… oh, and pictures two contestants holding their certificates (click the picture to enlarge). Janina was just happy to participate! 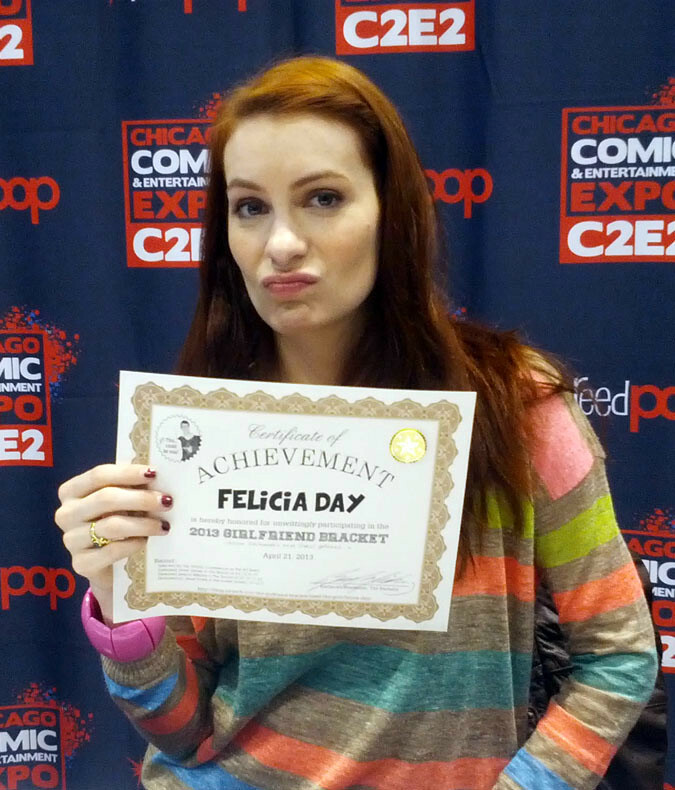 Felicia seems disappointed she didn’t win. And no, unlike the picture I posted of our winner these are not a product of Photoshop. 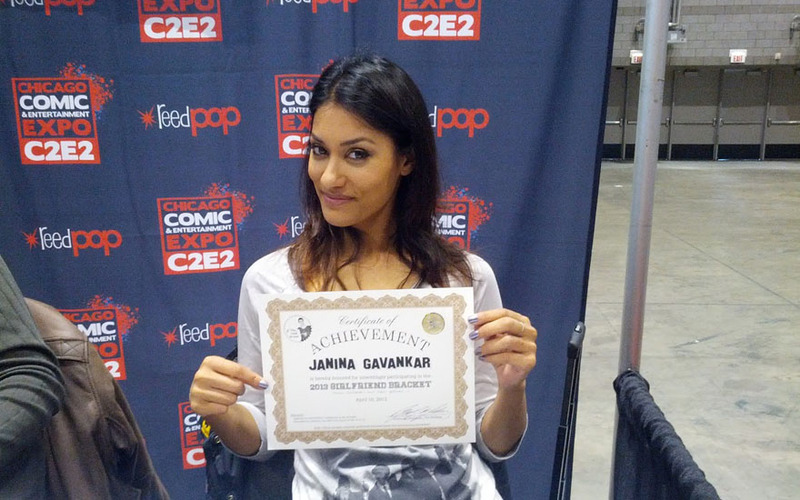 I have designed a certificate of participation for all of the contestants and in the event I am ever able to cross their paths (as was the case today with Janina & Felicia at the Chicago Comic & Entertainment Expo) I will present them with their certificate of participation (for their moms to hang on the fridge, of course) and snap a picture on my phone to share with all of you. A contestant may request their certificate to be mailed to them if they contact me with an officially verified twitter account (I’m @wiedepedia). In that case, I will mail the certificate of participation (along with official signature and seal) to their management address and I only ask that they tweet me a photo of them holding it in return!